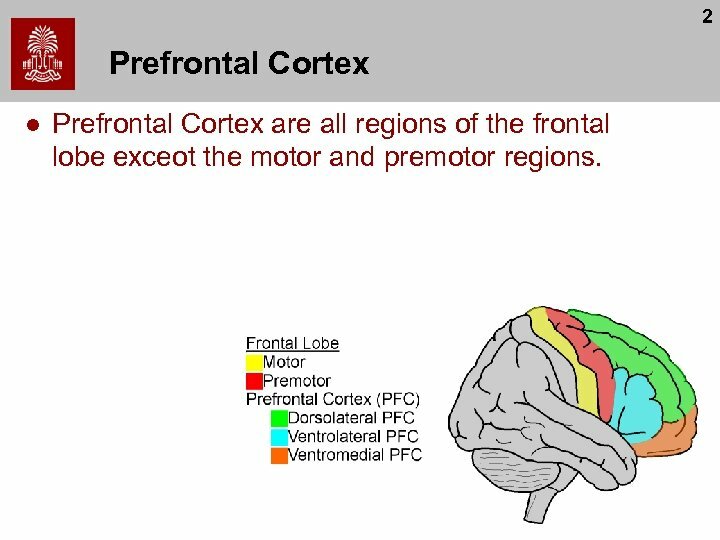 2 Prefrontal Cortex l Prefrontal Cortex are all regions of the frontal lobe exceot the motor and premotor regions. 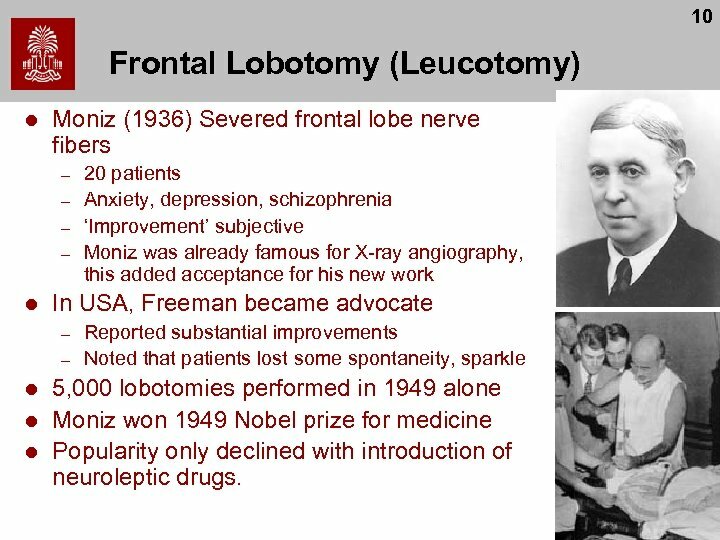 10 Frontal Lobotomy (Leucotomy) l Moniz (1936) Severed frontal lobe nerve fibers – – l In USA, Freeman became advocate – – l l l 20 patients Anxiety, depression, schizophrenia ‘Improvement’ subjective Moniz was already famous for X-ray angiography, this added acceptance for his new work Reported substantial improvements Noted that patients lost some spontaneity, sparkle 5, 000 lobotomies performed in 1949 alone Moniz won 1949 Nobel prize for medicine Popularity only declined with introduction of neuroleptic drugs. 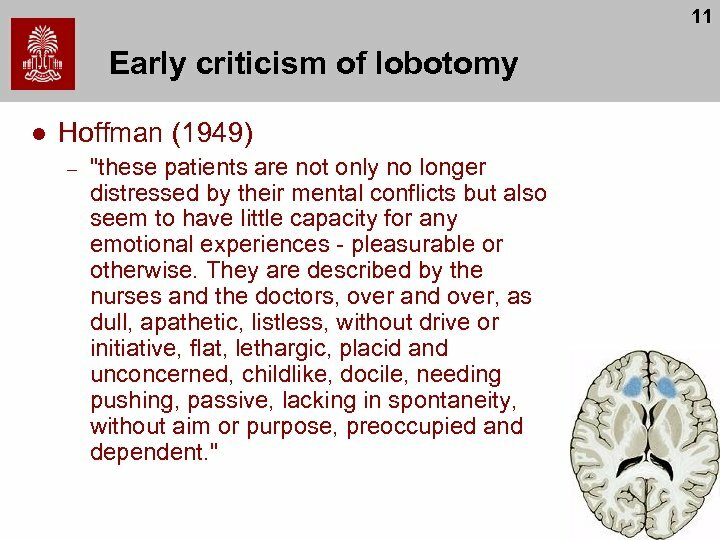 11 Early criticism of lobotomy l Hoffman (1949) – "these patients are not only no longer distressed by their mental conflicts but also seem to have little capacity for any emotional experiences - pleasurable or otherwise. 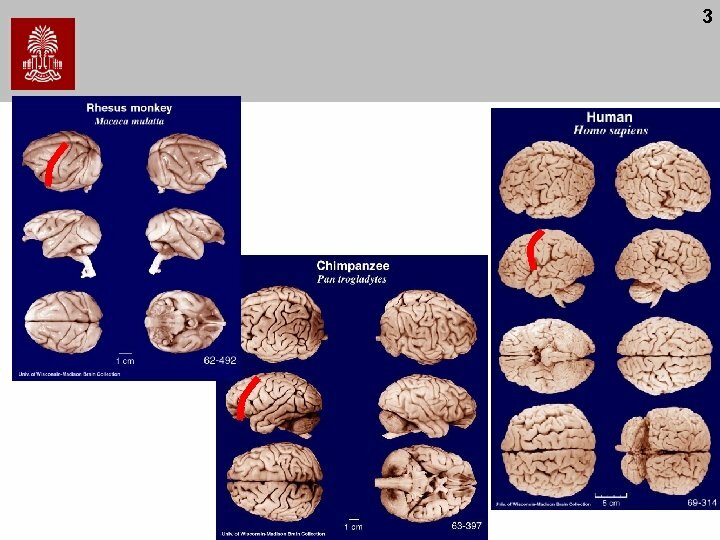 They are described by the nurses and the doctors, over and over, as dull, apathetic, listless, without drive or initiative, flat, lethargic, placid and unconcerned, childlike, docile, needing pushing, passive, lacking in spontaneity, without aim or purpose, preoccupied and dependent. " 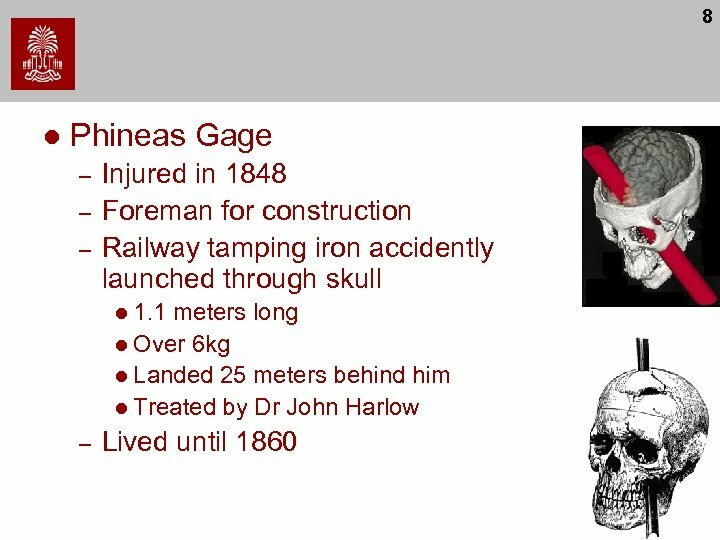 12 Was lobotomy effective? 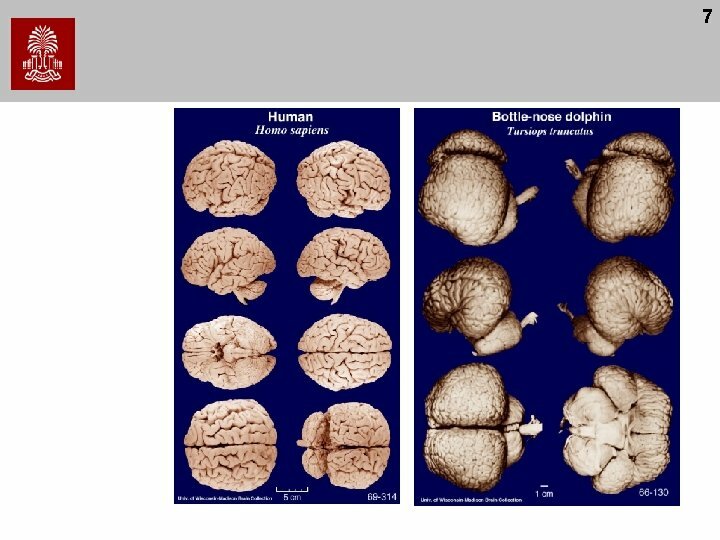 l Tooth et al. 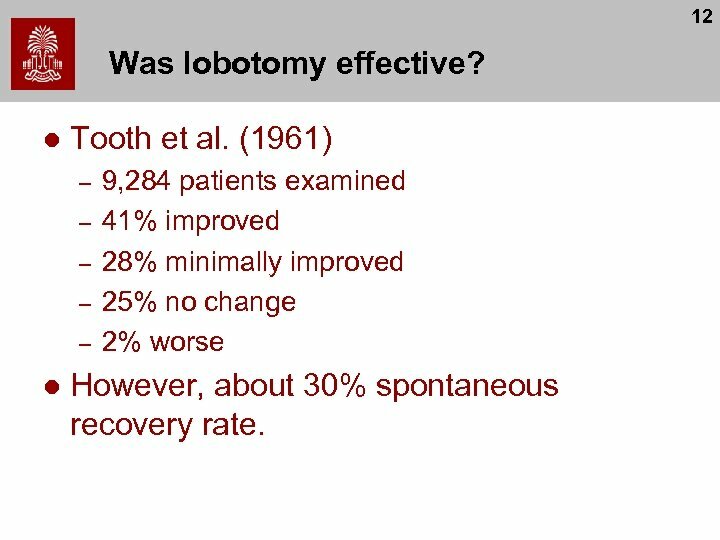 (1961) – – – l 9, 284 patients examined 41% improved 28% minimally improved 25% no change 2% worse However, about 30% spontaneous recovery rate. 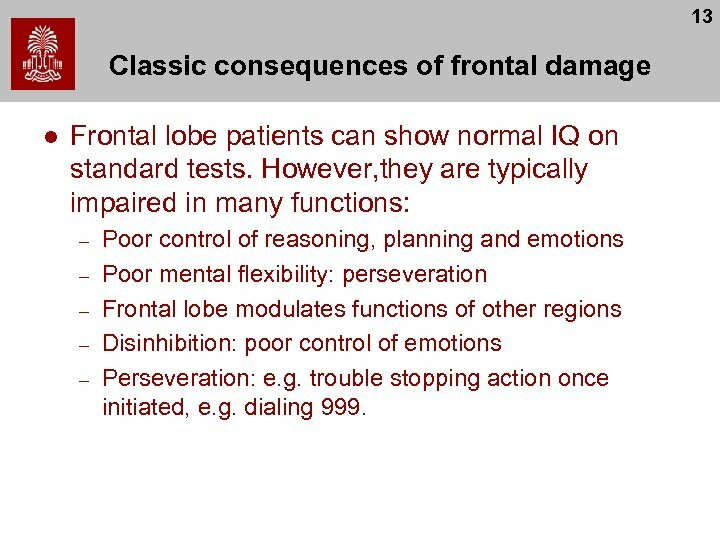 13 Classic consequences of frontal damage l Frontal lobe patients can show normal IQ on standard tests. 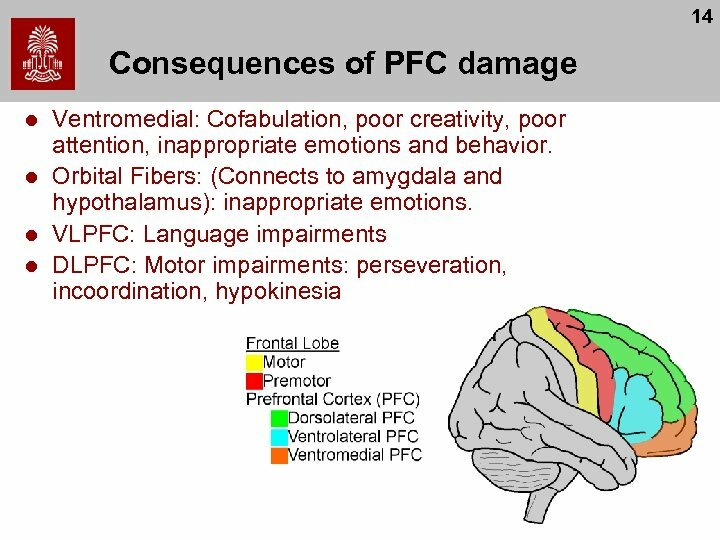 However, they are typically impaired in many functions: – – – Poor control of reasoning, planning and emotions Poor mental flexibility: perseveration Frontal lobe modulates functions of other regions Disinhibition: poor control of emotions Perseveration: e. g. trouble stopping action once initiated, e. g. dialing 999. 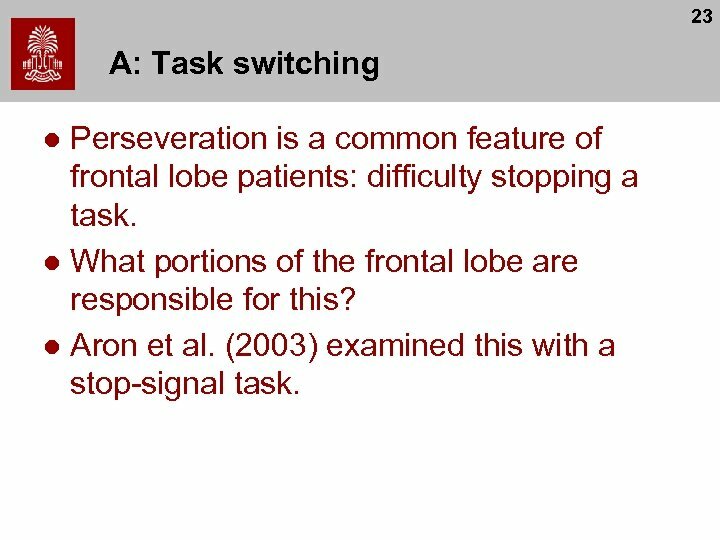 15 Real world difficulties l l Goel et al. 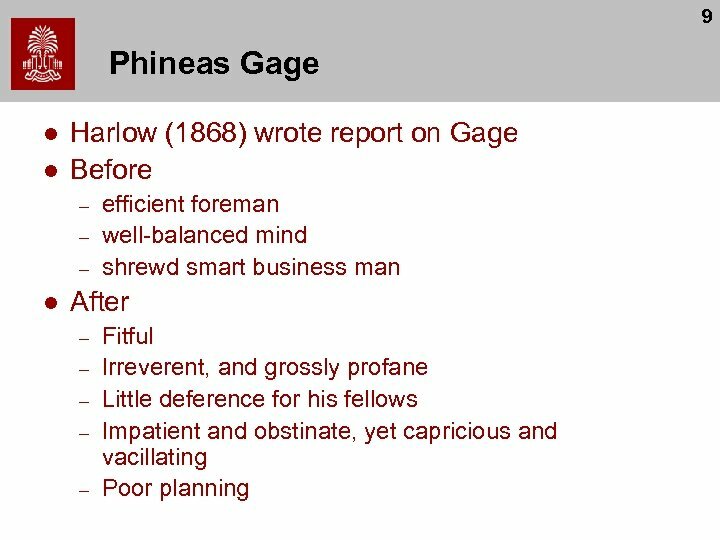 (1997) describes difficulty in financial planning task. 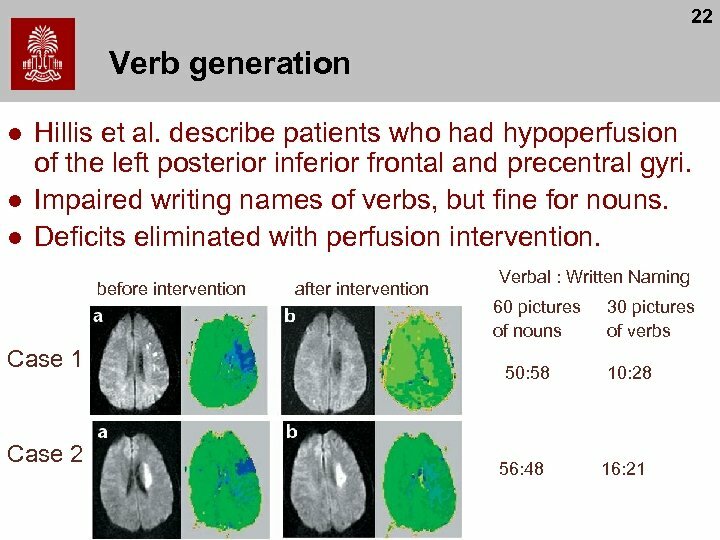 Asked to evaluate different costs for family and economize Control patients came up with realistic suggestions (e. g. hand down clothes to younger children). 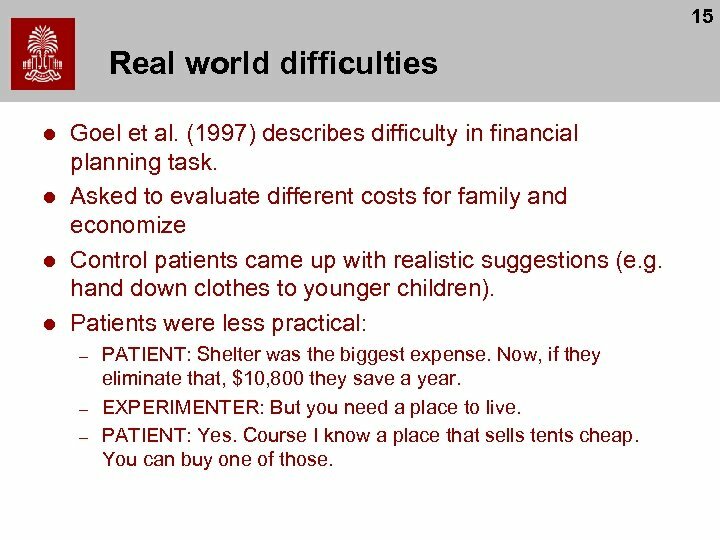 Patients were less practical: – – – PATIENT: Shelter was the biggest expense. 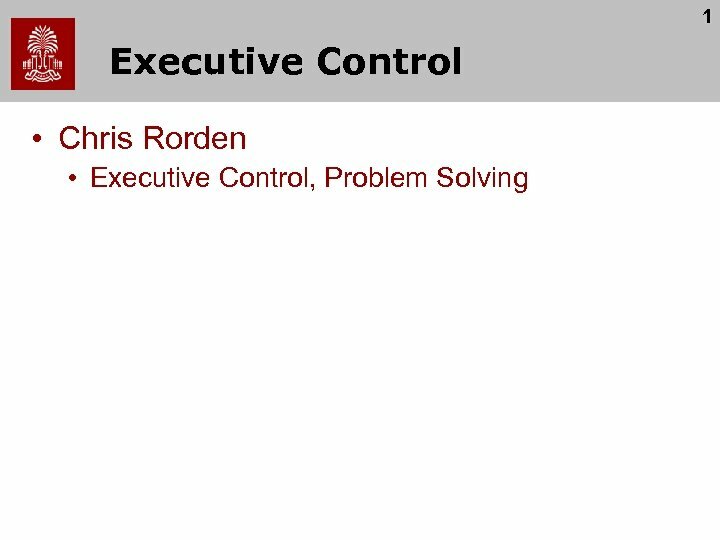 Now, if they eliminate that, $10, 800 they save a year. 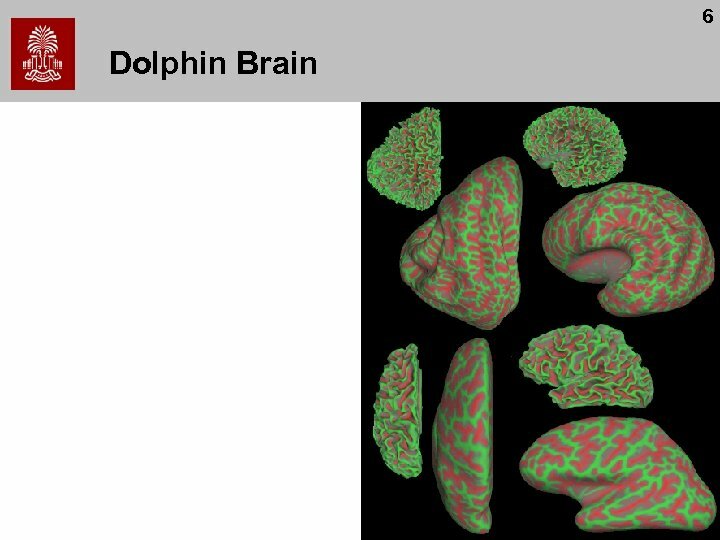 EXPERIMENTER: But you need a place to live. 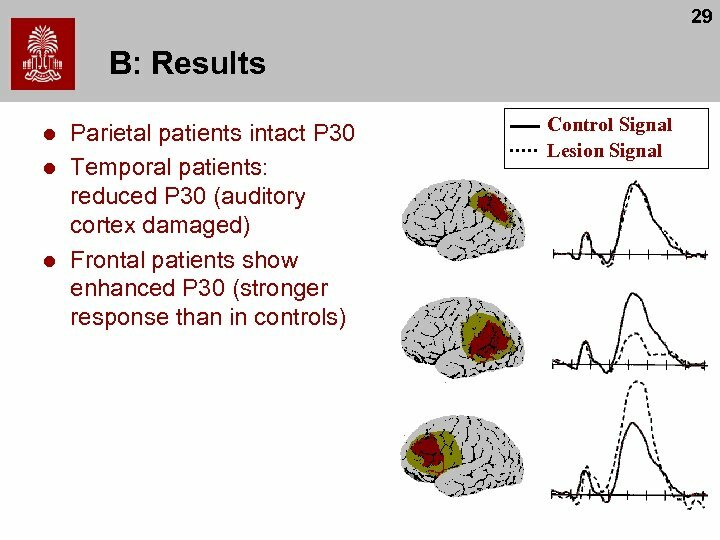 PATIENT: Yes. Course I know a place that sells tents cheap. 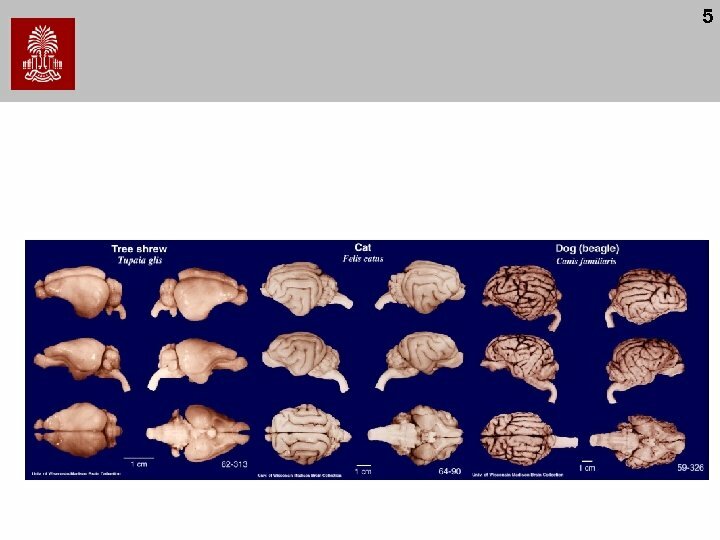 You can buy one of those. 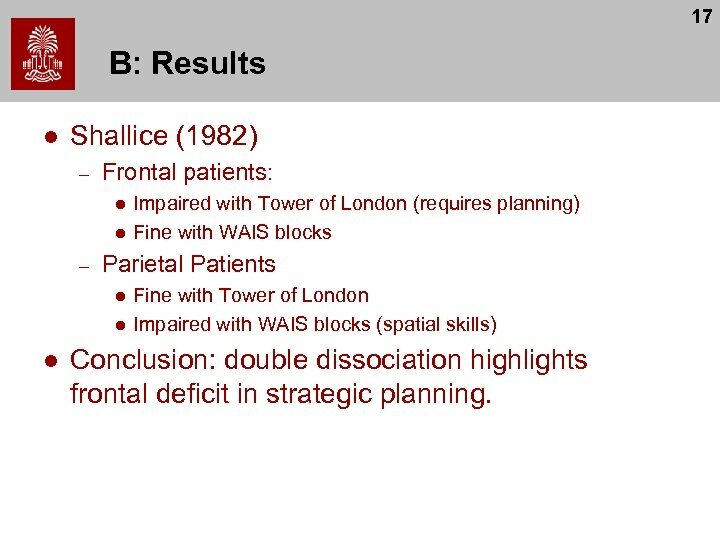 17 B: Results l Shallice (1982) – Frontal patients: l l – Parietal Patients l l l Impaired with Tower of London (requires planning) Fine with WAIS blocks Fine with Tower of London Impaired with WAIS blocks (spatial skills) Conclusion: double dissociation highlights frontal deficit in strategic planning. 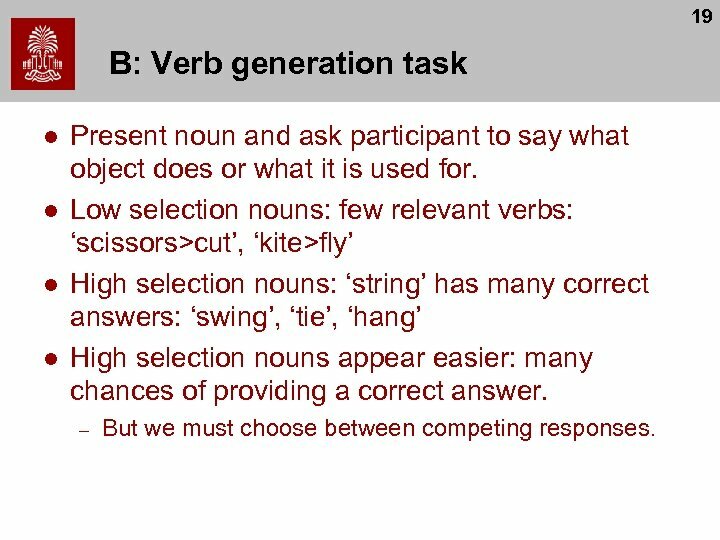 19 B: Verb generation task l l Present noun and ask participant to say what object does or what it is used for. 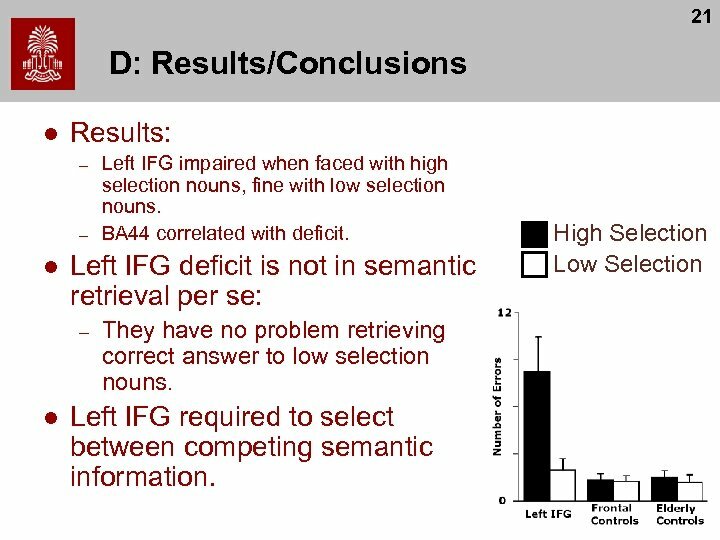 Low selection nouns: few relevant verbs: ‘scissors>cut’, ‘kite>fly’ High selection nouns: ‘string’ has many correct answers: ‘swing’, ‘tie’, ‘hang’ High selection nouns appear easier: many chances of providing a correct answer. 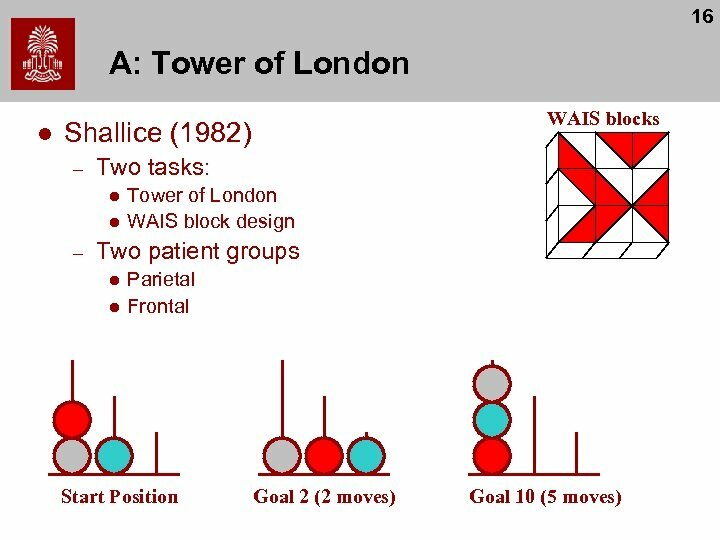 – But we must choose between competing responses. 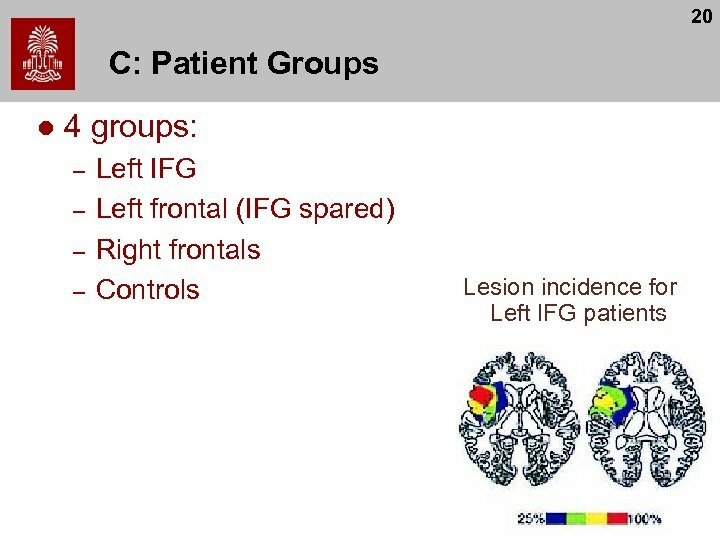 24 B: Design l On each trial, arrow presented. 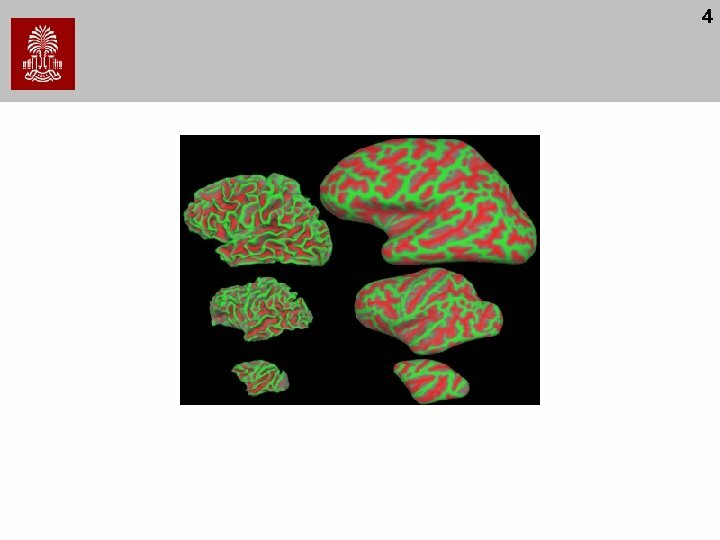 – – l l Left arrow: press left button Right arrow: press right button On a few trials (25%) beep occurs after arrow. This means you should not press a button. 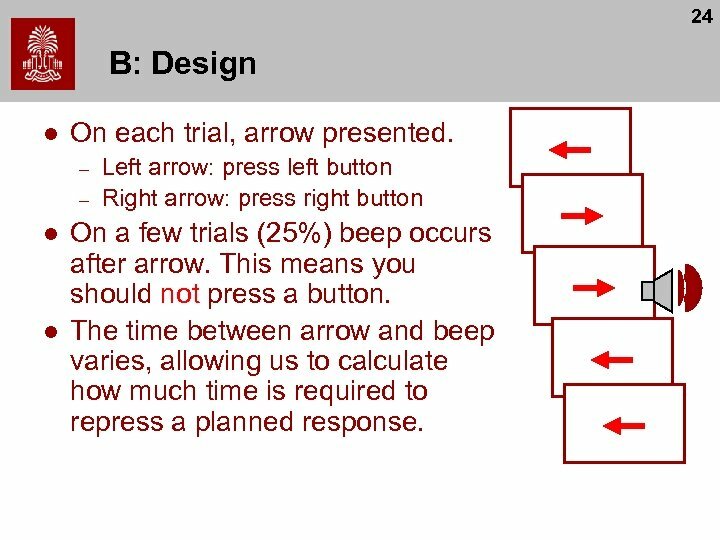 The time between arrow and beep varies, allowing us to calculate how much time is required to repress a planned response. 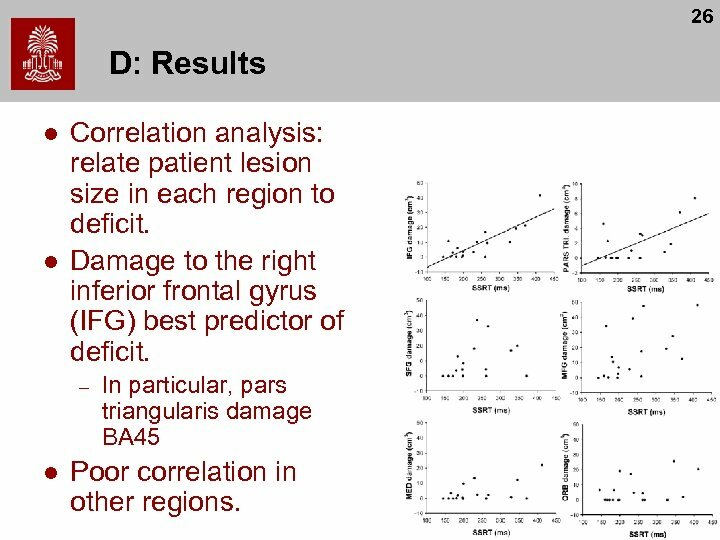 26 D: Results l l Correlation analysis: relate patient lesion size in each region to deficit. 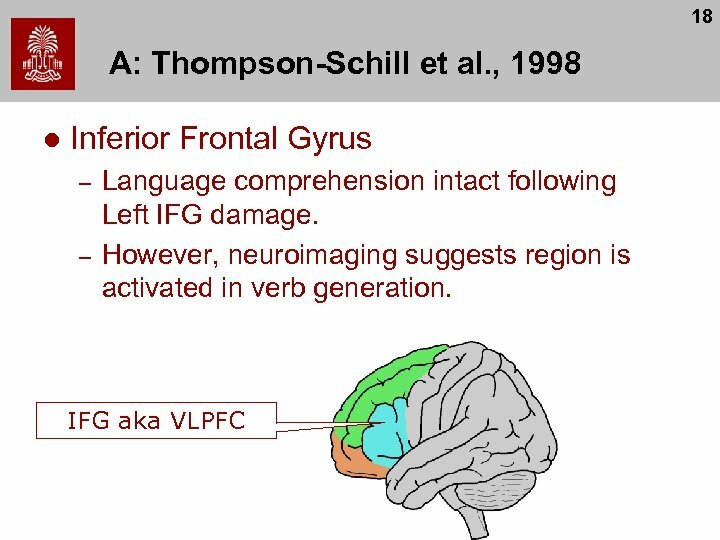 Damage to the right inferior frontal gyrus (IFG) best predictor of deficit. 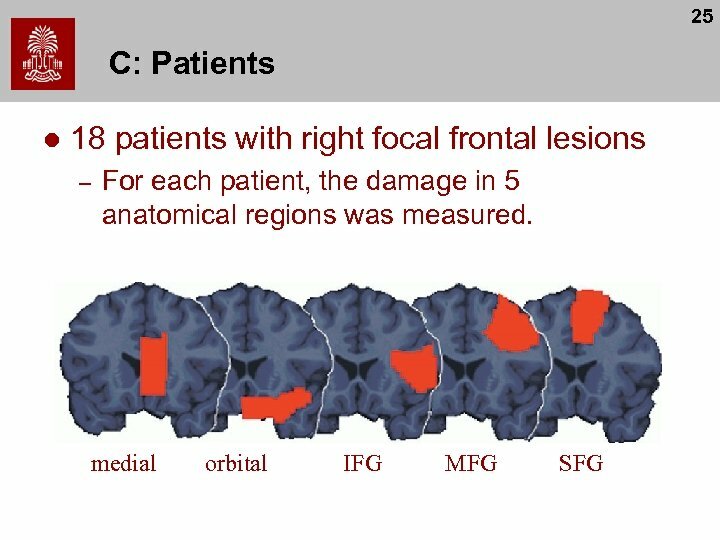 – l In particular, pars triangularis damage BA 45 Poor correlation in other regions. 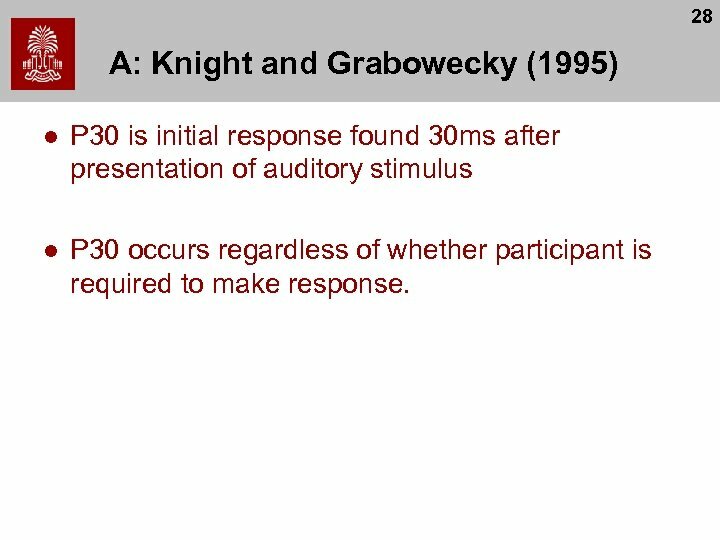 28 A: Knight and Grabowecky (1995) l P 30 is initial response found 30 ms after presentation of auditory stimulus l P 30 occurs regardless of whether participant is required to make response. 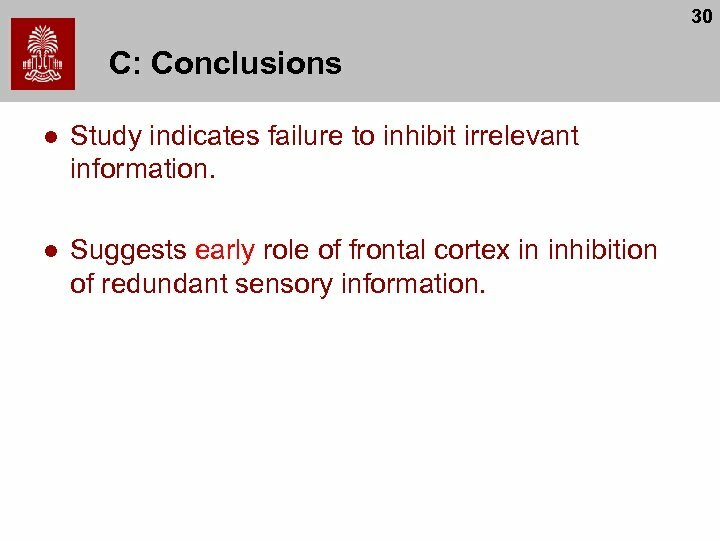 30 C: Conclusions l Study indicates failure to inhibit irrelevant information. 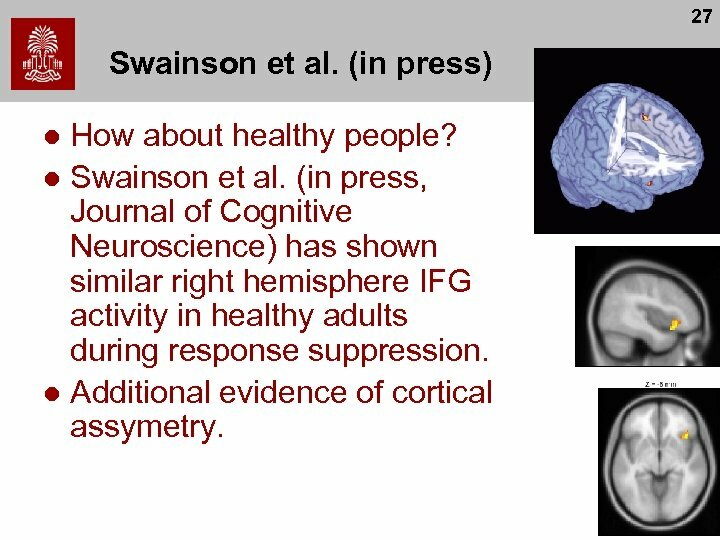 l Suggests early role of frontal cortex in inhibition of redundant sensory information.